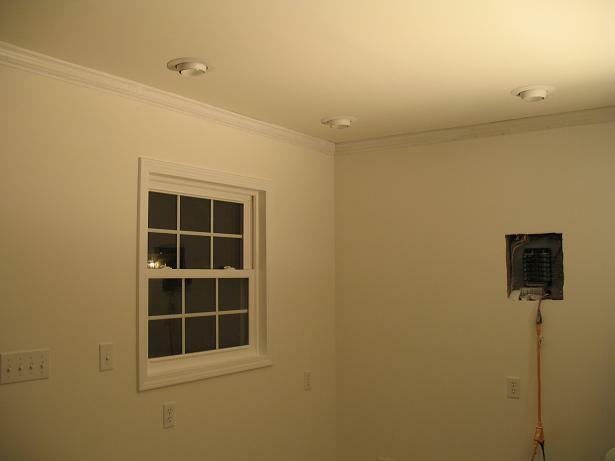 White…The walls, ceiling and trim…white. I know, I could have picked all different colors, bold, soft, blue, red, but I chose white. I’ve read that a mid-tone gray is the best for a studio, but I love to have things bright, and since my windows are not that large (for more wall space), I want it bright! The corner here is for my future office, hence the recessed light and lots of outlets (there are more closer to the floor).